No need to wait for May flowers in our neck of the woods. Here it's March showers and April flowers, though we can't plant our annuals 'til mid-May, once the threat of late frost is past. 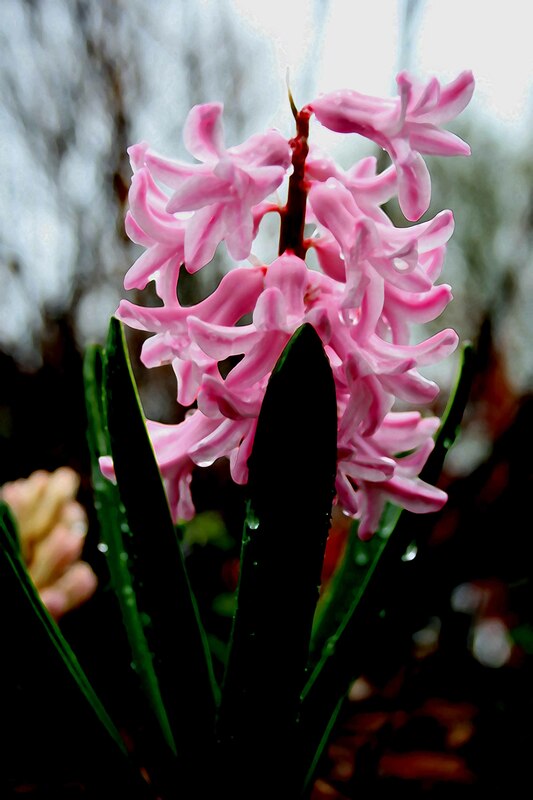 This is one of the pink hyacinths I forgot I planted last fall, though now that I see them I remember yelling at Paul for only getting one bag of these bulbs. And I thought my memory was gone! See, all I needed was a good reminder. Previous Post Good writing vs. bad, southern and otherwise. Next Post Librarian access to new materials – privilege or ethical no-no?